Coco is another commission I was asked to do for Christmas and this one was a surprise present for Cocos Mum. Unfortunately Coco has been quite poorly recently so I hope she, and the family had a lovely Christmas! 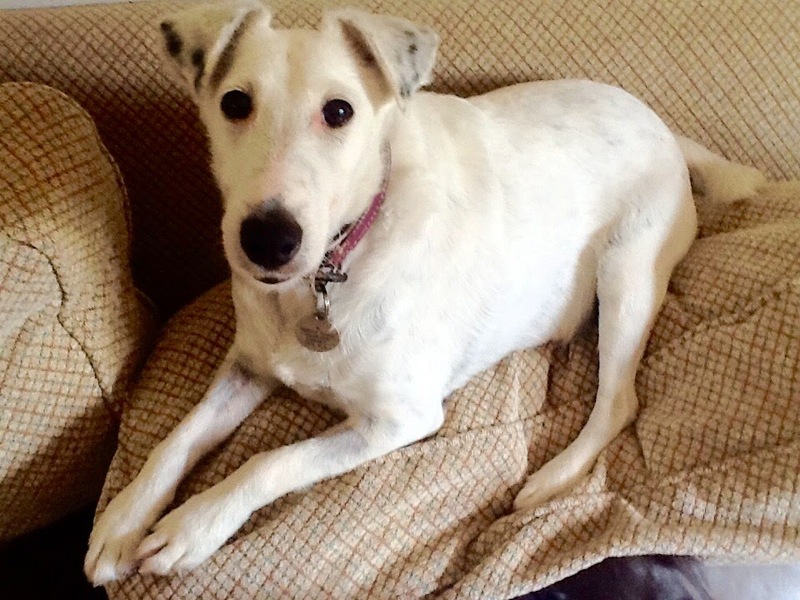 Coco is a Smooth Fox Terrier which I believe are a fairly rare breed in the UK in comparison to the Wire Fox Terrier but both are absolutely gorgeous! 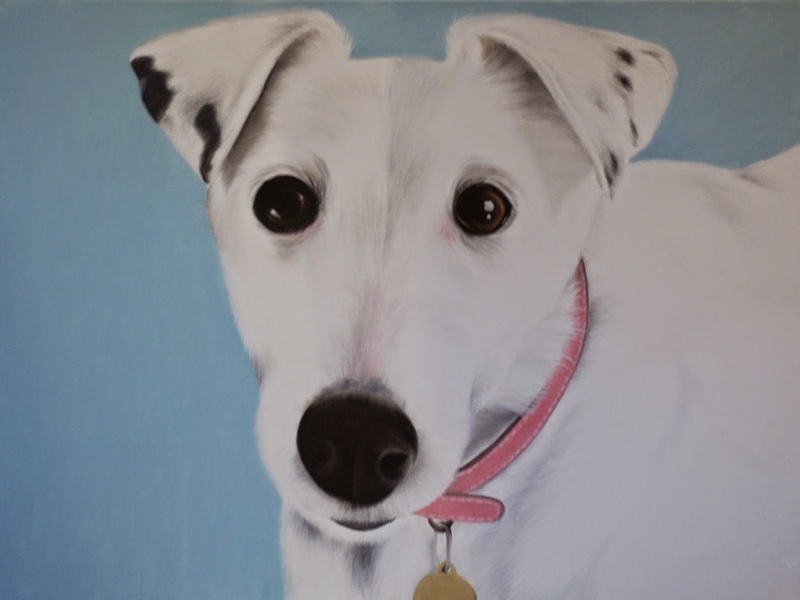 Just before heading to my family for Christmas I delivered the painting of Coco and was lucky enough to meet some of her friends that she lives with, Blue the very excitable Whippet and Rio the Chihuahua, who was obviously the boss of the house! I really hope that Coco gets well soon and has a happy, healthy 2015. Thank you Lucy a beautiful painting of my girl, Coco.